Don’t use this in current vRO versions! Any changes made to the log4j.xml file will be overwritten by Control Center. Use the logging settings in Control Center instead! 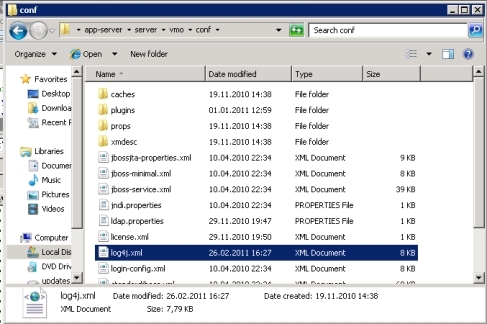 In the default settings the log messages are written to the logfiles server.log and scripts-log.log in the folder %INSTALLDIR%\app-server\server\vmo\logs. However, you can configure the settings and the targets of the in the configuration file log4j.xml in %INSTALLDIR%\app-server\server\vmo\conf. 4. See the log messages arriving on your Syslog Host…. Again, don’t forget to open the Firewall (usually UDP/162).